Early LDS leaders, at times, would speak out against other Christian denominations, often using fierce rhetoric to express their opinion. Personally, I do not feel that such language was an “attack,” in fact, such hyperbolic language was typical amongst religions of the day. Still, many anti-Mormons insist that these aggressive statements were “attacks” on the Christian faith. For the sake of argument, I’ll go along with that accusation. But does this really mark the launching of an “assault” before the formal organization of the Church? It certainly may seem that way, given the current information. However, as we begin digging into the historical evidence surrounding this information (which is conveniently left out by our friendly anti-Mormon), this charge begins to fall apart. Now, what are the historical facts in this case? The First Vision as it appears in Joseph Smith – History was not recorded until 1838, and was not published until 1842 – eight years and twelve years (respectively) after the organization of the LDS Church. The first time the First Vision was recorded at all was in 1832 (still after the organization of the Church), and it was first published in 1835. Both LDS and non-LDS historians generally agree, that the details of the First Vision were not widely known until after the organization of the Church. Some even suggest that they were completely unknown before 1832. Thus, the accusation that Joseph Smith launched a first assault prior to the organization of the LDS Church must be rejected. Still, though not before the organization of the LDS Church, was this the “first attack”? Did it happen before any kind of attack on Smith, or the LDS Church? Once, the historical facts say otherwise. 1834, E.D. Howe printed the first bona-fide anti-Mormon book, Mormonism Unvailed, about a year before the First Vision was published for the first time. Howe’s book had been preceded by Alexander Campbell’s anti-Mormon pamphlet/tract “Delusions” in his periodical the Millennial Harbinger in February of 1831, once again this is about a year before the First Vision was first recorded (but not published). Though these were the first actual anti-Mormon publications, researchers have recovered articles which speak negatively of Joseph Smith or the Book of Mormon as early as June of 1829 (nearly a full year prior the organization of the LDS Church), with indications from both Mormon and non-Mormon sources in the nineteenth century that these derogatory articles began to circulate as early as the fall of 1827 – when Joseph Smith first claimed to have the Gold Plates. 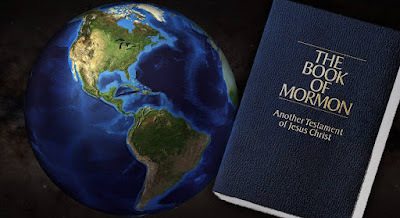 Thus, the historical evidence indicates just the opposite – years prior to the establishment of the LDS Church, slanderous rumors were already beginning to circulate regarding Joseph Smith, and the Book of Mormon. By 1831, a full blown attack was underway, yet there is no indication that this was a “defense of the Christian faith” in response to an earlier “attack” by the Mormons. One last comment, even if it could be shown that the declarations made in Joseph Smith’s First Vision were known and circulating prior to the publication of anti-Mormon materials; the justification of “any effort to demonstrate that Mormon doctrine is unbiblical” as “defending the Christian faith” has little merit. Criticizing LDS beliefs is not a “defensive” measure, it is offensive. If you are insulted by another person, you do not defend yourself by insulting them back – that is retaliation, not defense. A defense would involve denying the insult and explaining why it is not true. In the case of orthodox Christians attempting to defend themselves from Joseph Smith’s charges made by the First Vision, one would need to go about demonstrating that their churches are not “all wrong,” that their creeds are not an “abomination” and that their professors are not “corrupt.” This is scarcely, if ever, the tactic used by anti-Mormons, whose publications are generally aimed at destroying the Joseph Smith’s credibility and the LDS Church’s reputation, as well as misrepresenting LDS beliefs, doctrines, and practices. Hence, the charge that Joseph Smith launched the first attack, in my opinion, cannot be regarded as more than a poor attempt by anti-Mormons to justify their actions. Historically, this claim is unsupported, and logically, it fails to serve its purpose as justification for the ongoing attacks by the critics. 1. To be clear, as a matter of faith, I accept that the events happened (in general) as described, in the year 1820. I accept (on faith) that Joseph really did see God the Father and Jesus Christ in 1820, and had a conversation with them, I accept (on faith) that shortly thereafter he went to a Methodist minister and shared this experience with him and was treated hostilely, and that rumors circulated which caused a great deal of ridicule for him. I accept that all of that happened (approximately) as it is recorded in Joseph Smith – History. I do not necessarily believe it to be a precisely accurate history, but in its general details, I feel it is correct. That is what I accept on faith. But, when dealing with claims of a historical nature (such as who attacked first), one must reconcile that with the historical facts. I was going to point out what you said in note one about the minister. I don't know exactly how Joseph approached the matter with the minister (did he include the part about all religions being an abomination or did he just say that God and Jesus came to him?) but if Joseph didn't say anything about what Jesus told him, then it appears the minister made the first attack. What about the Lutheran Church and the others from the first great awakening? If we want to criticizing people for making "attacks" on other faiths, then why not point the finger at them. Isn't the whole point of starting a new religion because you find all of the others unacceptable? So it could be said that just starting the church was an attack, which every other church was guilty of as well. I agree, in fact in many cases much more condemning language can be found among the reformers than in anything Joseph Smith ever said. The idea that it is an "attack" to believe that every other Church is in error (i.e. "corrupt")seems strange, since I would hope that EVERY Christian feels that those who differ theologically with them are in error. Otherwise, they may want to reconsider their own position. I request a new blog post. Ha ha. Sorry Jon. Been really busy moving,getting ready for school, etc., and the apartment we recently moved into does not have internet access. So it has been difficult to get online frequently. I have post related to Book of Mormon population sizes (specifically the textual evidence for "other" people) that should be going up very soon. Thanks for this blog. I was disappointed to see many of my christian friends getting their information from this website I went ahead a read those articles only to see how silly they were. But I am no scholar and I could not put into words what to make of it. Often as a famous judge has said "if it doesn't make sense it probably isn't true". Articles from the CARM organization seemed to be flawed-but again, I could not put it into words.